Congestion in our cities continues to increase, causing significant problems for our travel plans every day. However, while we get frustrated with the inevitable delays, there is another issue that isn’t as obvious as missing a meeting or getting home late – pollution. Exhaust fumes are a significant source of pollution and poor air quality. According to recent research carried out by the London Atmospheric Emissions Inventory, every part of the capital exceeds acceptable global pollution levels of PM2.5 – a highly toxic air particle known to worsen heart and lung function. Thousands of Londoners die early every year as a result. Both short and long-term exposure to high levels of PM2.5 are closely linked with premature death from heart and lung disease – and 95% of London’s population live in areas that exceed limits by at least 50%. Average annual levels of the particle are almost double the safety guideline limits set by the World Health Organisation (WHO) and pollution in 2018 reached its annual legal limit in less than a month. Indoor air quality (IAQ) is between two and five times worse than outdoor air and there are many sources of pollution, especially in working environments where multiple people share the same space. Especially in London air handling indoors is necessary in order to ensure a safe environment. The Health and Safety Executive state that, although in some cases windows may provide sufficient ventilation, where possible mechanical ventilation systems should be in place. It is also imperative that buildings with established mechanical ventilation systems maintain them to ensure optimum function. £10 tax on motorists bringing the cars with high emissions into central London on weekdays. The T-Charge, which came into effect on 23rd October 2017, forms part of what Khan describes as the toughest emission standard of any major city and affects up to 10,000 vehicles each week – typically those registered before 2006. November 2017, the Ultra Low Emission Zone (ULEZ) will take effect in Central London from 8th April 2019. Under the new restrictions, cars with a higher pollution level will pay £24 per day and lorries £111.50. The ULEZ will operate 24 hours a day, seven days a week and 365 days a year, replacing the weekday T-Charge and operating alongside the Congestion Charge. A number of London councils – with funding from the Mayor of London’s Air Quality Fund – are planning even more drastic action, paving the way for the proposed 2040 petrol and diesel ban. Hackney and Islington councils have decided to ban polluting vehicles altogether in nine of the busiest streets in Shoreditch and Hoxton. These ultra-low emissions streets will be petrol and diesel car-free between 7-10 am and 4-7pm each day. Vehicles such as electric, hybrid and hydrogen cars and e-bike will still have access, alongside cyclists and pedestrians. Sadiq Khan is also taking steps to reduce and control sources of domestic indoor pollution, such as wood burning stoves. Studies undertaken by King’s College London revealed that a shocking 31% of pollution in the capital is caused by urban and exurban wood burning. At present Khan’s focus is on educating wood burning stove users on the damage they cause and restricting the times at which it is acceptable to use them. A key part in the process of reducing pollution in our cities is to increase awareness of the issue. Making choices such as where to source your power supply to what types of car you drive can provide a small impact on external pollution, however businesses can take significant steps on improving indoor air quality and reducing pollution in their buildings, offices, schools and shops. Child Health found that across Europe more than 99,000 deaths were caused by indoor air pollution alone. Whatever the workplace, the need for improved IAQ at work is greater than ever. Which Health and Safety Regulations govern air pollution in the workplace? Business owners have a legal obligation to ensure that workplaces have effective ventilation and a sufficient quantity of fresh or purified air, as specified in Section 6 of the 1992 Workplace Health, Safety and Welfare Regulations. The associated Approved Code of Practice and Guidance provides practical guidance on the legal ramifications of this requirement, however it does not specify the means by which business owners can achieve effective ventilation. Employees should be knowledgeable about the conditions in which they are working. Under the Safety Representatives and Safety Committees Regulations 197714 and Section 15 of the Health and Safety (Consultation with Employees) Regulations 1996, information on the control measures used including general ventilation should be made available to employees. In order to ensure a clean, hygienic working atmosphere with a reduced level of dangerous pollutants, business owners should provide fresh air at a supply rate of 8 litres per second per person. This is the recommended rate of fresh air supply in open plan offices, shops and factories. ‘Employees in offices, shops and in the entertainment industry are exposed to contaminants arising from many sources including carpets, furniture, cleaning products, heaters, photocopiers, the building itself, the ventilation ducting and from the outside environment’. Whilst providing adequate fresh air is important, the cleanliness of the ventilation system is also critical. As a general rule, if you run your finger along the opening of a duct and it collects dust then it probably needs cleaning. Organisations such as the Heating and Ventilating Contractors Association (HVCA) and the Chartered Institution of Building Services Engineers (CIBSE) provide information on testing for likely contaminants in ductwork. Now we are aware of the importance of providing fresh, clean air into a building for our general health and performance, the next question is should we use mechanical ventilation or rely on natural ventilation? Natural ventilation describes a range of different methods of getting air in and air out of a building without the use of a fan. One of the main benefits of this is no energy is used to power a fan to provide the ventilation. However, if an open window, for example, is the chosen natural ventilation approach, there is limited control as to how much air enters or leaves the building and there’s no control on bringing in poor quality outdoor air into our rooms. Also, looking specifically at city environments and the high levels of pollution that exists, if a window is opened, whatever dirt, smells and pollution is in the atmosphere directly outside your building, will be brought into your building. This air is often of a poorer quality than the air you already have in your rooms. The other key thing to consider is what happens in the middle of winter when the weather is poor and opening the window is not an option. Mechanical ventilation uses a fan or number of fans to supply air into a building and extract the poor quality air out of the building. Mechanical ventilation systems do use energy to provide the ventilation, but other features are frequently incorporated within these systems that outweigh the energy consumption. 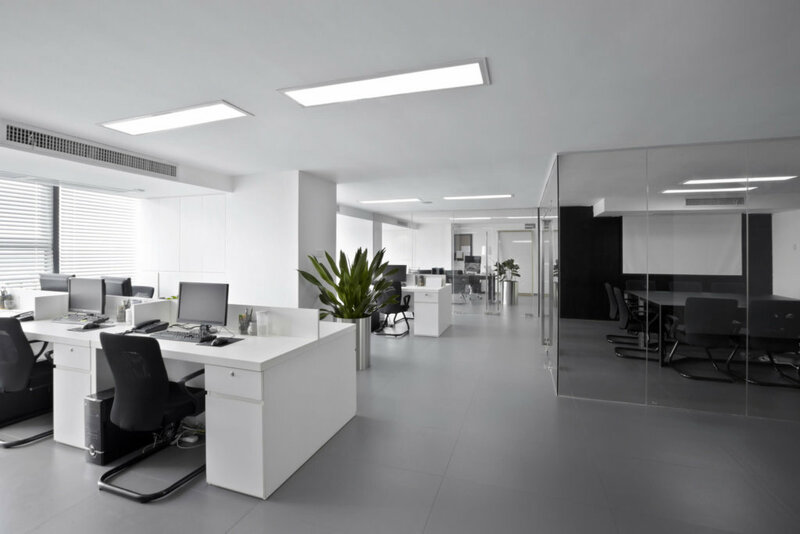 How can offices improve indoor air quality? Along with providing an effective ventilation system, studies have shown that the presence of plants in a workspace such as an office can often boost productivity and increase job satisfaction, whilst simultaneously purifying the air and reducing pollutants. Indoor air quality in office-based workplaces can also be improved by reducing the use of chemical cleaning products, paints, candles and air fresheners. These have been found to react chemically, generating harmful air pollutants. Using natural or eco-friendly alternatives will go a long way towards improving the indoor air quality of your office. 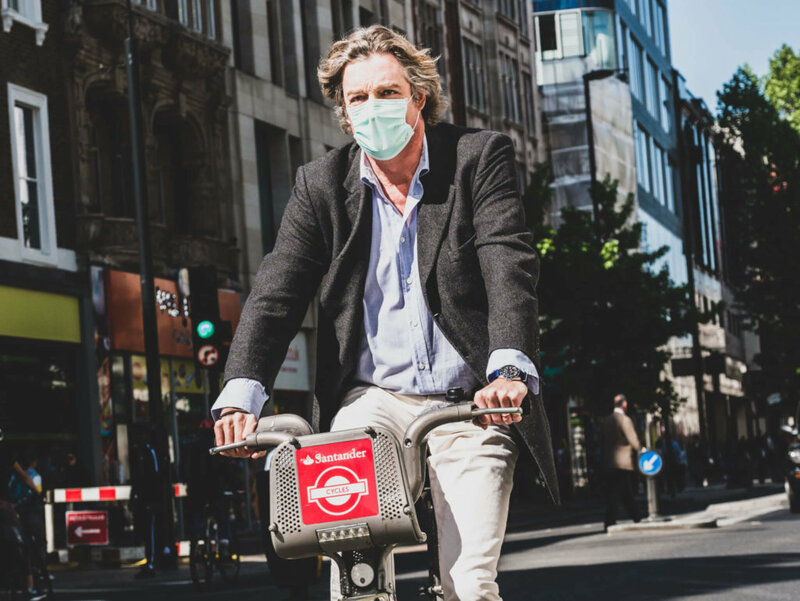 If employees are faced with a walking or cycling commute into work, business owners can provide them with anti-pollution masks to protect them from pollutants such as vehicle emissions on the way to and from work. These masks can filter more than 95% of air pollutants and are designed to guard against particles of dust, dirt, soot, smoke and other substances that outdoor commuters are likely to encounter. How can restaurants improve indoor air quality? There are few workspaces where good indoor air quality and flow is more vital than in a restaurant. 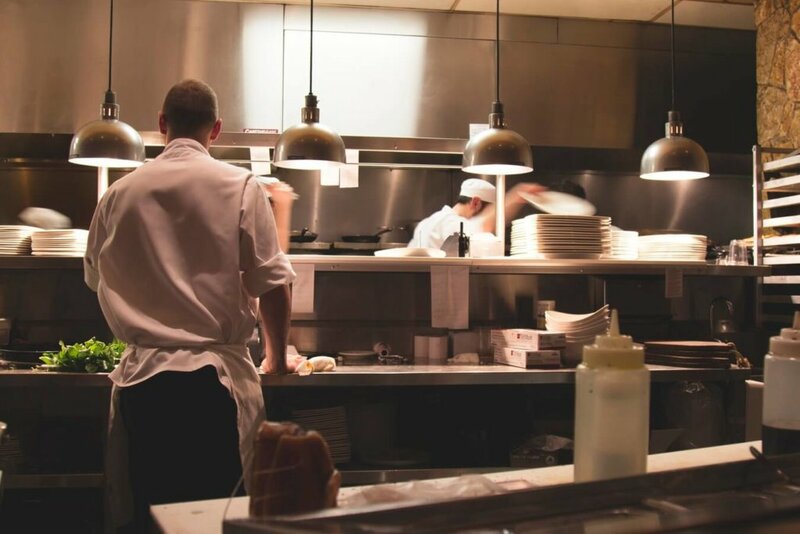 Likewise, a well-conditioned kitchen with effective smoke extraction contributes to staff loyalty and a low employee turnaround. Regulations specify that employers must ‘provide effective and suitable ventilation in every enclosed workplace’. This includes kitchens, which need ventilation to create a safe and comfortable working environment. Catering and cooking can produce significant amounts of fumes and vapours, as well as large amounts of heat. Mechanical extraction is often required to remove these fumes and vapour from the air in the restaurant. 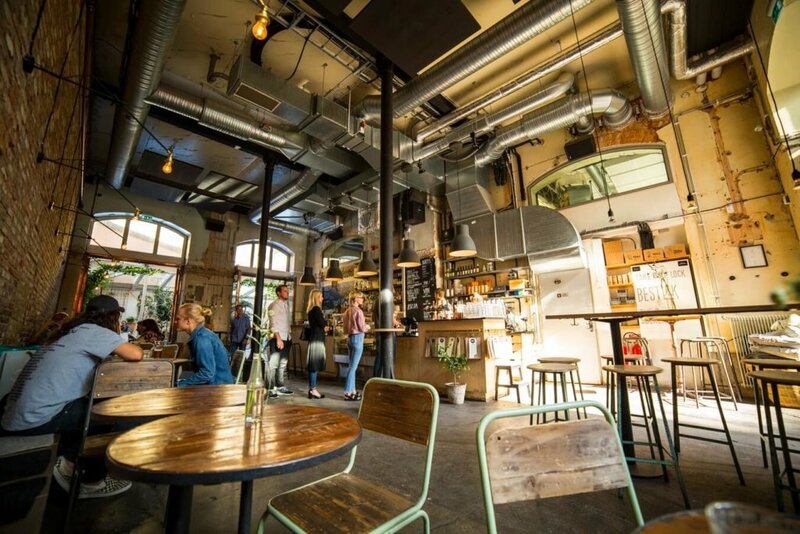 Due to the diversity of environments within a modern restaurant, ensuring optimum indoor air quality can be a more challenging task than it seems. It is imperative for the safety and comfort of both employees and customers that air management within the building is balanced. In doing so, the business owner reduces a wide range of potential risks, from lethargy and heat stress to fire and carbon monoxide accumulation. The kitchen environment requires mechanical ventilation throughout the year – even during winter due to the heat of the appliances – in addition to constant smoke and vapour extraction through exhaust hoods over the cooking equipment. The air management system must provide enough air for complete combustion at fired appliances and be easy to clean in order to avoid a build-up of fat residue and blocked air inlets, which lead to loss of efficiency. By contrast, the front of house area requires fresh conditioned air and odour management systems, together with heat in the colder months. How can shops improve indoor air quality? Fortunately, there are several preventative measures that shop owners can take in order to reduce the health risks of poor quality air to their employees and customers. Specialist air handling units (AHUs) create customised air control and movement throughout the working environment, ensuring the air is at an optimum, healthy level for employees and customers alike. AHUs also reduce the carbon footprint of businesses by increasing the efficiency of power usage. Considering that heating, ventilation and air condition (HVAC) systems account for 65% of a company’s energy usage, reducing energy costs is desirable for every business owner. An air curtain is particularly effective in shops with open front entrances and exits. Larger shops with revolving doors can commission air curtains built directly into the structure, ensuring that optimum indoor air quality is maintained regardless of the layout of the property.